OMAHA, Neb. 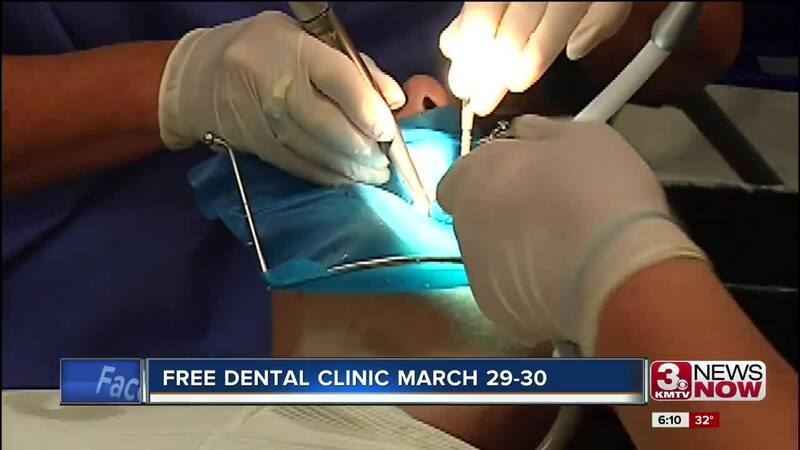 (KMTV) -- — A free dental clinic is coming to Omaha for the first time in a decade. The Nebraska Mission of Mercy will be March 29 & 30 at Brownell Talbot School. They expect to treat up to 2,000 people who don't have insurance or are under-insured. It will be first come first served, and there is no need to sign up early. “It will do a lot to help the hospitals and the local areas that see patients that are sick, because these people can get very, very sick. So, it keeps them out of emergency rooms, it keeps them out of hospitals,” said Dr. Bruce Kuhn with the Facial Surgery Institute. They'll be doing cleanings, root canals, fillings, and prosthetics for kids and adults. 400-500 professionals are expected to volunteer their time. The dentists still need volunteers and donations because it costs more than $150,000 for supplies to do the work for free for close to 2,000 patients they expect to see. The event will go from 5:30am-5pm on March 29 & 30 at Brownell Talbot School.